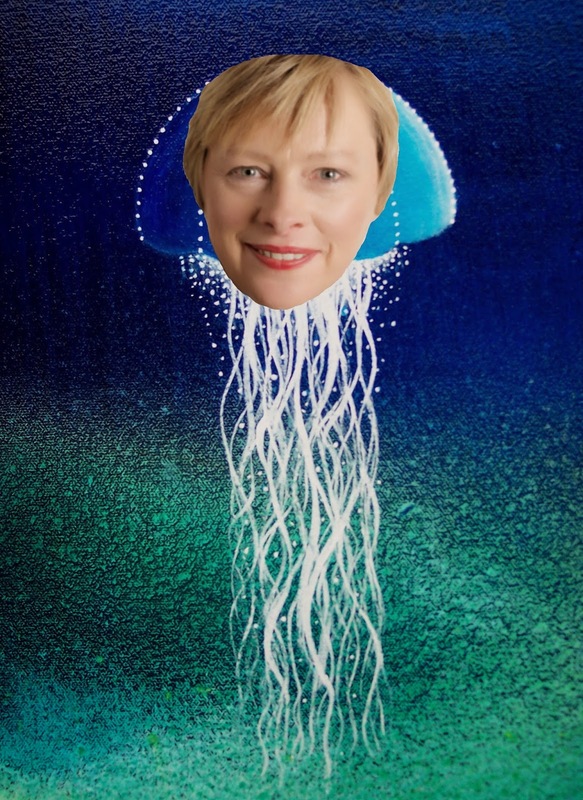 What would Aesop or Ovid have made of the British Prime Minister, David Cameron, being stung by a jellyfish in the Canary Islands? 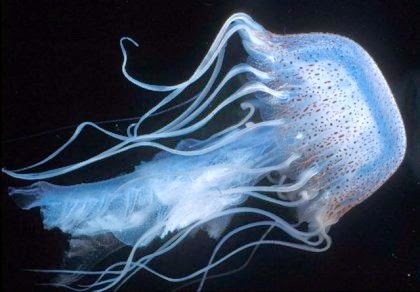 The ancient Greek zoological name for round blobby aquatic creatures with tentacles is suggestive: they are Medusae. 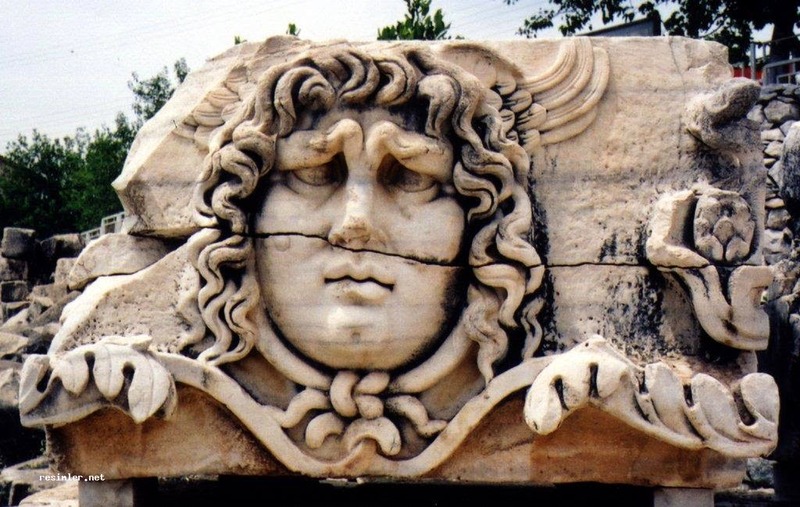 Every Medusa is a replica of the head of the mythical Medusa, the Gorgon with poisonous snaky hair who could turn people into stone. The sting of the most dangerous species of jellyfish can cause instant loss of consciousness and even cardiac arrest (both of which might lend a human body a rigid, stone-like appearance). Ancient storytellers might have said that the Medusa who stung Cameron was repaying him for his serial failures to support womankind. 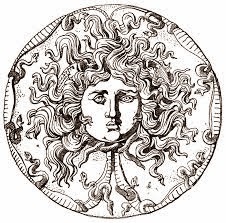 Medusa’s hostility towards men began because she had been raped and impregnated by Poseidon and beheaded by Perseus. She did not like males who mistreated females. Cameron hopes that we have all forgotten that in 2011 he called on an ancient misogynist stereotype in telling Labour MP Angela Eagle to ‘calm down, dear’ when she was putting him under pressure at Question Time. But even his staunchest public-school cronies now privately acknowledge that the Conservative leader has alienated a sizable proportion of the female voting population. Financially speaking, women have been hurt twice as badly as men since Cameron became PM—they are now at much greater risk of unemployment and have been sent reeling by major cuts to childcare support. The latest changes to pensions and benefits hit women FOUR TIMES as badly as men. The Chancellor’s 3-year freeze in child benefit took £1.26 BILLION from women but only £26 million from men. 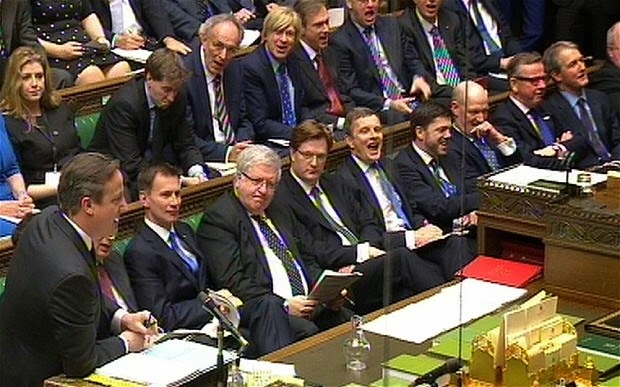 Only 16% of Conservative Party members are female, and fewer than one in six of Cameron’s MPs. Of the three women in the cabinet NOT A SINGLE ONE IS A MOTHER. The ‘Minister for Women’, Nicky Morgan, is effectively only Minister for Straight Women because she is opposed to lesbians like Angela Eagle being allowed to marry. 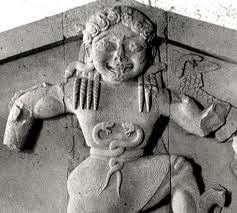 In 1971 the feminist philosopher Hélène Cixous wrote an influential essay called ‘The laughter of Medusa’ in which she argued that this ancient victim of male thuggery could help us reclaim respect for women. It was Jurassic Republican misogynists who effectively won Obama the last US election. If Cameron does not heed the jellyfish heralding the stinging Medusan laughter of angry British women, Adenoidal Ed (Miliband), whose Shadow Cabinet contains TEN women and several mothers, will at last begin to look like an electable rival.